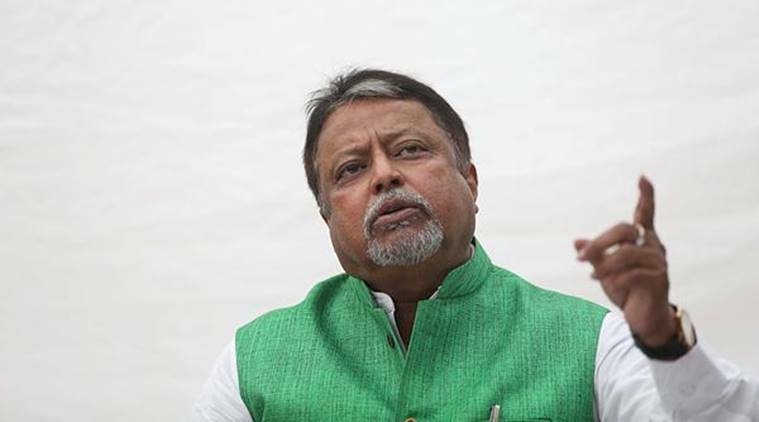 A Delhi court on Wednesday rejected a criminal defamation complaint filed by BJP leader Mukul Roy against Abhishek Banerjee, the nephew of West Bengal Chief Minister Mamata Banerjee, saying the statement referred to as defamatory were not made by the respondent. A Delhi court on Wednesday rejected a criminal defamation complaint filed by BJP leader Mukul Roy against Abhishek Banerjee, the nephew of West Bengal Chief Minister Mamata Banerjee, saying the statement referred to as defamatory were not made by the respondent. Additional Chief Metropolitan Magistrate Samar Vishal dismissed the complaint of Roy, a former Railway Minister, who had alleged that he was defamed by Banerjee, a Trinamool Congress MP, through various means which included a legal notice and a tweet. Roy was earlier a member of the Trinamool Congress but later joined the BJP, while Banerjee is a Member of Parliament (MP) of the TMC. “It is clear that the statement referred to by the complainant as defamatory are actually not made by the respondent. Therefore, there is no ground to proceed against the respondent in the present case. Accordingly, the complaint is dismissed,” the court said. The court rejected Roy’s contention that the legal notice sent to him by Banerjee was defamatory, noting that it nowhere showed it contained defamatory terms. “I am unable to understand how serving a legal notice can be said to be defamatory in the absence of any defamatory remarks in that legal notice,” the judge said. The court dismissed Roy’s allegations of defamation based on a ‘tweet’, saying it was not made by Banerjee. It also rejected Roy’s statement that he was allegedly defamed as he was called a ‘traitor’, saying it was clearly not made by Banerjee. According to the complaint, the accused had sent a notice to Roy on November 13 last year, using “defamatory statement” in it by putting words in his mouth. The same was circulated to the media the same day which was widely covered. “The accused intentionally got the aforesaid notice served at the unit office of BJP at Kolkata, so as to tarnish the image of the complainant before his newly joined party, namely BJP, and to lower the morale of his supporters and party workers,” Roy’s complaint, filed by advocate Savinder Singh, said. The notice was sent to Roy after he had reportedly made certain public remarks about Biswa Bangla Marketing Corporation and TMC leader Abhishek Banerjee. The notice sent by Abhishek’s advocate claimed that on November 10, Roy in a public rally had made certain defamatory, malicious, and false statements against Banerjee. “Roy had deliberately levied various baseless allegations which were published, broadcast and circulated by various news organisations,” the notice had said. Mukul Roy had quit the TMC and joined the BJP on November 3 last year. The complaint also mentioned a tweet, made by a made by one of the followers of AITMC, which allegedly defamed Roy.